A number of rent-related ballot measures across the Bay Area have achieved a green check mark. Voters in Alameda, Berkeley, Oakland, Mountain View, Palo Alto and Richmond supported some form of rent stabilization or eviction protection legislation while only Burlingame and San Mateo favored a "no" decision. Alameda's Measure A1, an affordable housing initiative which was placed on the ballot by a unanimous vote from the county Board of Supervisors, won by a margin of 72 percent to 28 percent. It needed a two-thirds majority to pass. It will raise up to $580 million in general obligation bonds to provide affordable housing and prevent displacement of vulnerable populations such as low-income households, veterans and seniors. The money, which will last for 23 years, will pay for acquiring or improving properties, up to 8,500 units of affordable rental housing, supportive housing for homeless people and helping low- and middle-income households buy homes. Oakland's Measure JJ, which expands eviction protections under the city's existing Just Cause for Eviction ordinance so that the rules would apply to virtually all apartments, won by a margin of 74 percent to 26 percent. Currently, apartment units built after 1983 don't fall under the city's eviction protections so landlords can evict tenants for almost any reason in those building when their leases expire, according to Measure JJ supporters, including City Councilwoman Rebecca Kaplan. Community leaders said the displacement crisis is forcing out long-time residents and destroying the city's unique communities. Opponents, including Jill Broadhurst, the executive director of the East Bay Rental Housing Association, had said Measure JJ would negatively impact both property owners and renters because it would make it more difficult to remove drug dealers and other nuisance individuals from neighborhoods. The city of Alameda's Measure L1, which won by 56 percent to 44 percent, affirms the rent stabilization ordnance approved by the City Council in March that requires mediation for rent increases above 5 percent, prohibits mass evictions of entire buildings and requires landlords to pay relocation fees when terminating certain tenancies. A competing measure, Measure M1, which was placed on the ballot by the Alameda County Labor Council, teachers and firefighters, was defeated by a margin of 66 percent to 34 percent. It would have limited annual rent increases to 65 percent of the consumer price index, would prohibit "no cause" evictions and require landlords to pay evicting relocation fees ranging from $7,300 to $18,300 when ending certain tenancies. Oakland voters approved Measure KK, a bond measure that raises $600 million to repair and maintain the city's streets and sidewalks, community facilities and affordable housing options, by 82 percent to 18 percent. It includes $100 million for affordable housing to prevent displacing current residents who can't afford the city's rising housing costs. Supporters, including Mayor Libby Schaaf and several City Council members, said the measure "takes a major step toward keeping Oakland Oakland" because it will allow the city to protect residents from being forced to move out of affordable housing and keep long-term residents in the city. Voters in nearby Berkeley and Richmond voiced strong support in their respective measures. Berkeley passed Measure AA, a rent stabilization proposal, by a 72 percent to 28 percent margin. Richmond approved Measure L by a mark of 64 percent to 36 percent. Cities along the Peninsula witnessed mixed results. Palo Alto approved its proposed rent stabilization legislation in a landslide fashion, passing Measure J 79 percent to 21 percent. Neighboring Mountain View passed Measure V by the narrow margin of 53 percent to 47 percent. 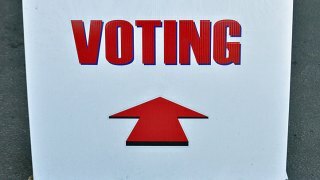 Citizens in Burlingame and San Mateo turned against the measures on their ballots. Folks in Burlingame opposed Measure R, another rent stabilization proposal, by a tally of 67 percent to 33 percent and San Mateo voters declined to back Measure Q, deciding to negate the similar statute with a 61 percent vote in favor of the opposition.